I love making my own DIY clothes. I especially love breathing new life into old T-shirts that never get worn! This project was great because it was simple and extremely cheap to make! 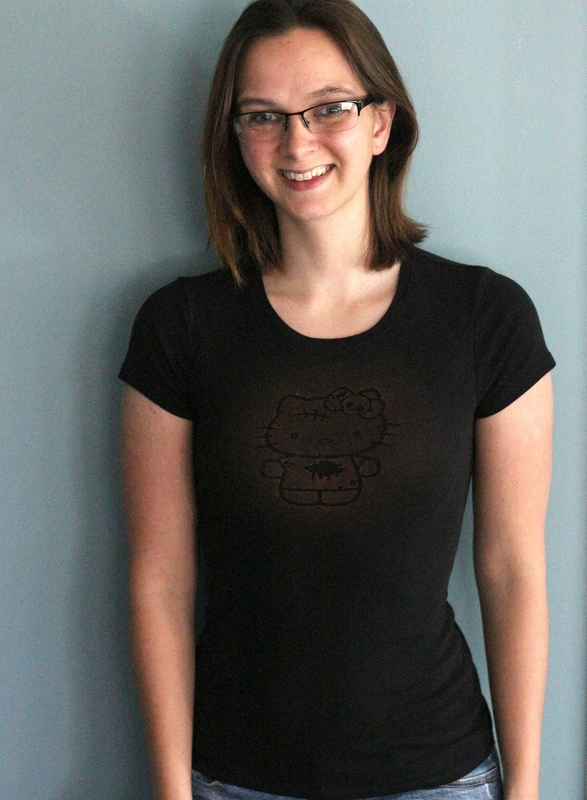 I already owned the shirt, and I picked up a vinyl decal online for just $2! The best part? You can customize your shirt to whatever you like! 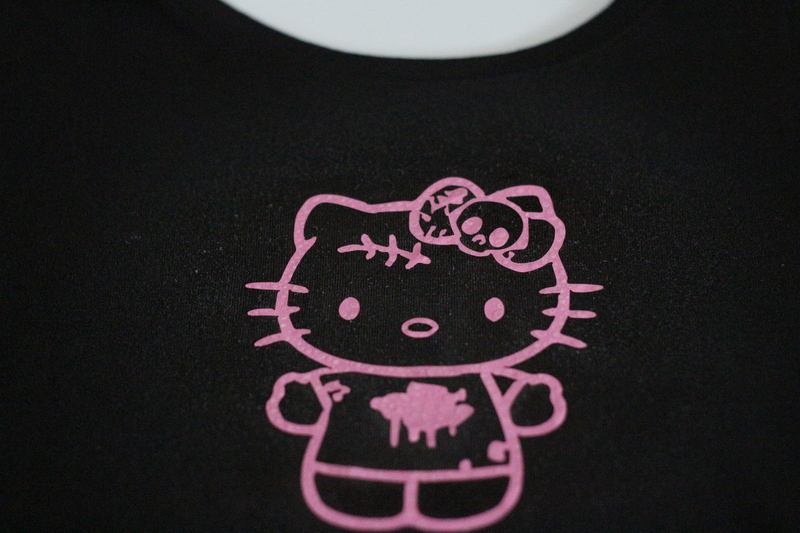 I am a big fan of zombies and Hello Kitty, so why not combine them into an awesome Zombie Kitty shirt? I bet I won’t run into anyone else wearing this awesome DIY Bleach Stain Shirt! First, put on your shirt and decide on where you want your design to go. Once that is done, take the shirt off (duh!) 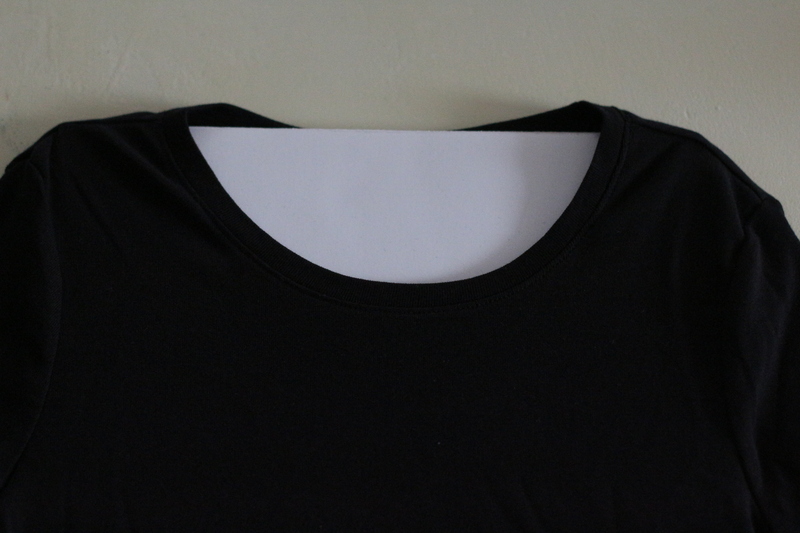 and place your cardboard or foam board inside the shirt to prevent the bleach from bleeding onto the back of the shirt. Smooth out any wrinkles and place your decal where you would like. If your decal has a lot of detail, be careful and take your time so it does not rip. Using a straight edge, remove any excess bubbles. When spraying, I like to start in the center of the image and make sure that it is completely saturated with bleach first, then work my way out to give it a splatter look. Once completely dry, repeat the process of spraying it down with bleach again and letting it dry. I did this process about five times to achieve the effect that I liked. You can do more or less, depending on how your shirt takes the bleach. Then all that is left is to remove the decal and give it a wash! I suggest washing it for the first time by itself and then drying it as usual. For $2 I made a pretty awesome, totally unique shirt that I love! 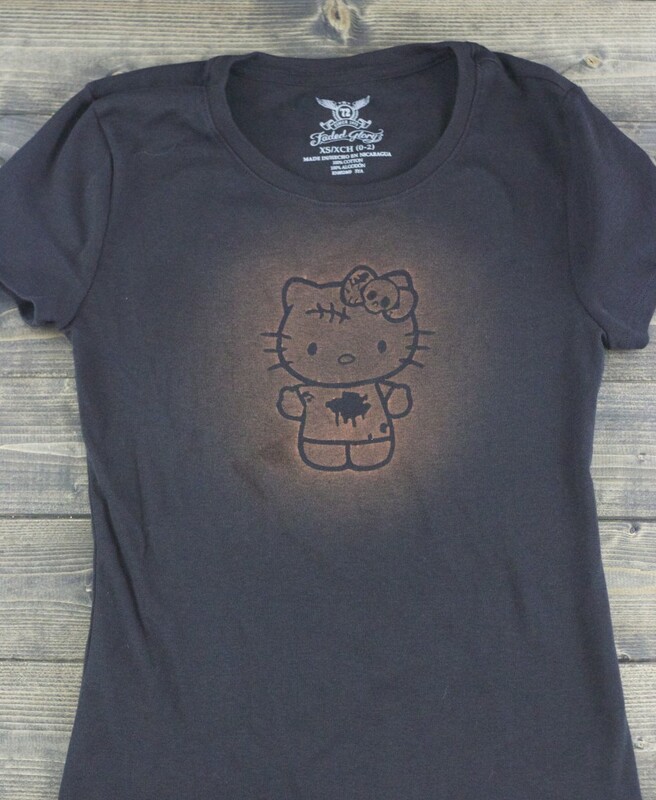 What design are you thinking about using to make this awesome DIY Bleach Stain Shirt? Place your cardboard or foam board inside the shirt to prevent the bleach from bleeding onto the back of the shirt. Smooth out any wrinkles and place your decal where you would like. Repeat this process until you reach the desired lightness of shirt. Rinse under cool water to remove excess bleach. How cute! I love that this is so easy to do and looks professional. Glad I stopped by from Whimsy Wednesday!